I was supposed to have my 40 week check up on your due date, September 10th, but my OB was out of the office. She was available the next day, Thursday the 11th, and as much as I had said I didn’t want you to be born on 9/11, I awoke with great expectations of that day being the day. We packed your big sissy up and made sure she had extra clothes for Nannie and Papa’s house. I had a feeling we wouldn’t be home that night. As your daddy and I sat in the doctor’s office, the exam commenced and I was told the same thing I had heard the previous 3 weeks. You were comfortable. Within reach. She could feel your head but you weren’t budging. At 40 weeks and a day this meant it was time to schedule an induction for the following week. The call was made and we picked a date, but I still couldn’t shake the feeling that your arrival would be sooner than I thought. Apparently my OB was thinking the same thing. With a hint of mischief in her eyes she asked if we were ready to meet our baby. She then said that she could break my water, thus allowing the labor process to commence! A wave of excitement washed over me as I looked at your father. We nodded in agreement and she went to work. Let me tell you, this was extremely uncomfortable!! Like popping a balloon, she was pinching the amniotic sac that surrounded you, and I felt it all! On the 4th attempt it happened. She leaned back with a smile of satisfaction on her face, and at the same moment I felt a gush. Just like that we were on our way to labor and delivery. My water broke naturally with your big sissy so this wasn’t completely foreign to me. But unlike the first time where I felt no pain or contractions for at least an hour, they started immediately with you! We made it to our first room (they’d eventually move us), and I called your Nana in Georgia to let her know it was time. She told me the whole family would be praying and as we said our goodbye’s the pain was rapidly increasing. 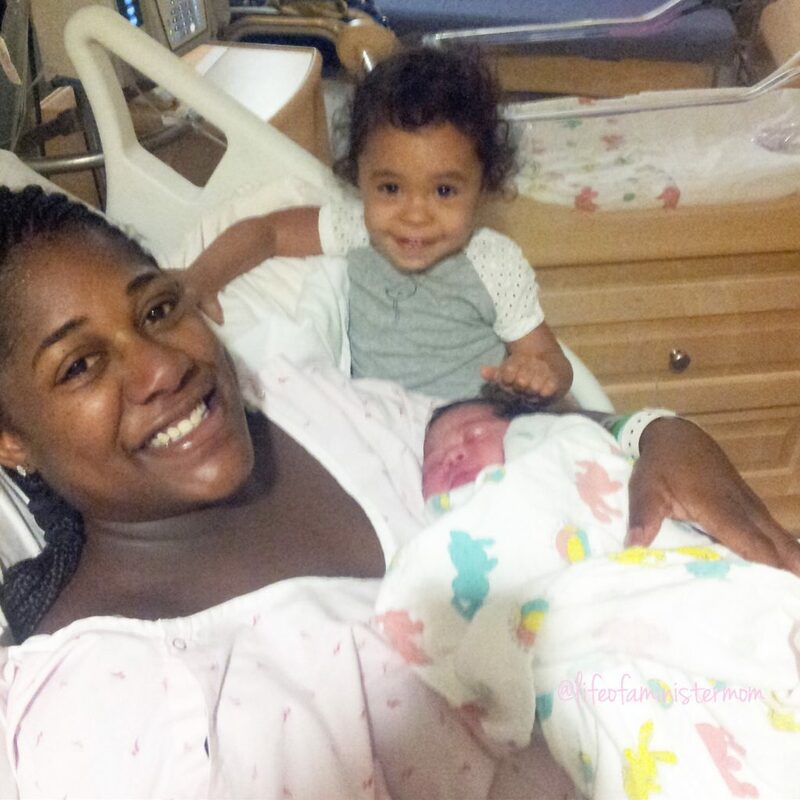 The contractions were steady and I knew I wanted an epidural as soon as I was able. I also wanted scrubs in the room for your daddy, because while I was planning and praying for a successful vbac, I wanted to be prepared for anything. 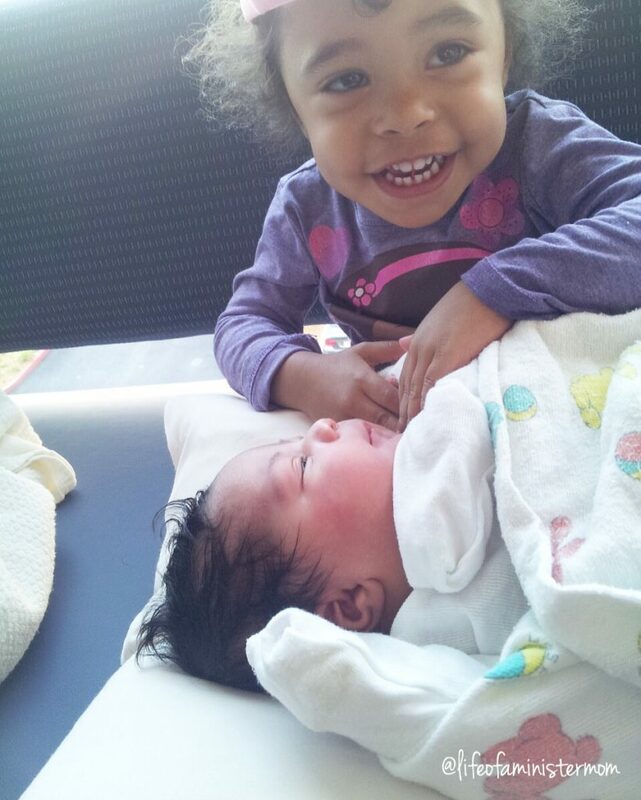 When the emergency c-section had been called for your sister, everything happened so fast and he wasn’t in the room. God sent me an nurse angel, and she was the biggest blessing, but this time I wasn’t taking any chances. I was steadily progressing, and as I went from 4 to 6 cm dilated I closed my eyes to the sound of your dada reading Bible passages to me. I had fallen asleep but I knew it hadn’t been long. I opened my eyes and the room felt different. As the doctor and nurses swarmed around me, checking monitors and giving each other concerned looks, I couldn’t believe this was happening again. Your dear daddy was on his feet at this point and I distinctly remember barking at one of the nurses to make sure he had his scrubs on! We locked eyes and I knew it would be ok. My sweet nurse told me that a particularly long contraction had caused your heart rate to be dangerously low, and they wheeled me into the operating room. It felt like deja vu, but it wasn’t supposed to be like this! If I knew I was going to end up like this I would’ve scheduled things and at least made sure my mom could’ve been here! I was supposed to have a successful vbac. I was supposed to do the one thing I wanted to prove to myself that I could do. Instead, the blue sheet went up. I was 7.5 cm dilated this time. With your sissy I was actually fully dilated and had started pushing when they called the emergency c-section. Everyone prepped for surgery, then there was a stillness, a peace that entered the room. The doctor said that your heart rate was steady once again, and knowing my desire they gave me the option to honor my plan. They asked if I wanted to go back in the room and wait it out. I still had the opportunity to try for a vaginal delivery, but what would be the safest course of action for you? I asked them and of course they couldn’t give a definitive answer. It would be up to your father and I. Your handsome dad came in the room and we weighed our options. I knew what I wanted so badly in my heart, but what if we went back to our room just to find ourselves wheeled back to the OR once again? Your father is a strong man of faith but he later told me it nearly brought him to tears to see me wheeled away again. What if your little body would be in distress? What if I was focused on the wrong thing? I wanted to meet you and if we had the c-section that would happen in a matter of moments. With little chance of another problem arising. To be honest I still feel torn on occasion when I think about our decision, but make no mistake that there was nothing but elation and pure joy when you entered the room and my arms for the first time. The emergency was gone and it was now a standard cesarean. Daddy rubbed my forehead and assured me that God had it all under control. After a total of about 6 hours or so, (same timing as your sissy btw), you were here. It was 4:41pm and you weighed a whopping 9lb 4oz! The first thing the nurse said is that you were rotund!! Lol! She also said there were signs of you twisting and struggling to make your way down the birth canal. I certainly didn’t expect you to be over 2 lbs heavier than your big sis was at birth, but I knew that regardless of how you made your entrance, all that mattered is that you were finally here. You were here and my heart grew. I was instantly madly and deeply in love with you. Lily Anne, you and I share a middle name, in honor of my maternal grandmother who has passed away. We also share a special bond of mother and daughter, and you have a beautiful relationship with your sister too. It was love at first sight, and every day you are here is a better day for all who know you. My sweet Lily girl, you are so loved. Thanks for calling me mama. Be sure to click here if you missed part one! Sip and Save With Snapple! Thank you so much Caroline!!!! What a great birth story and well written. I love how chubby she was! She was the chubbiest!!! Thanks for reading Jamie! The amazing story, of the amazing arrival, of THE AMAZING LILY ANNE <3 The picture of Lily looking up at her big Sissy, is a heart-melter. I love you, and I love my great nieces! And we love, love, LOVE you!!! Oh this is the sweetest! I loved how your hubby read Scripture to you! We certainly are blessed with some good men. What a great birth story! I too was hoping for a v bac this time but this baby had other plans. Not only did she decide breech was her thing she’s full on sideways haha! I’m glad I had time to procoess it though! Maybe it’s a girl thing! Hahaha. I’m so excited for you!! This is so beautiful! I love it!!!! She is SO squishy!!!! You are making me a little bit excited to hold our baby boy soon! My father in law is an OBGYN (yes, I did just say that), and he is super good at emergency C-sections. He told me he can have a baby delivered in 30 seconds flat. So crazy!!! I’m so glad that Lily’s birth was so beautiful, even if it wasn’t your original plan. I love me some birth stories!! I believe it! That’s why my hubby wasn’t in the room when I had the emergency one with Alex. It happened too fast and by the time the scrubs were on she was here!! Bob and I think of that day so often…like every time we pass the Kaiser Hospital! We drove by it on 9/11 and recounted our happy memories of meeting Lily Anne. We are so grateful that God was on duty and supervising your great medical team to deliver her safely! And a compliment for you…as tired and uncomfortable as you were, you welcomed squirmy Alex as she gave you and Lily loves and hugs in your quite cramped hospital bed 🙂 You’re the best mom!! We are forever grateful that you and Bob are forever a part of her story! We miss you and love you so much!!!!! She was so chubby! I love it. Parker was just a pixie at 6 lbs. Thanks for sharing her story. I also had a csection and hope for a vbac next time but don’t have high hopes. She was such a chunk!! Now she’s getting so long and these pictures blow me away even more! Oh this makes me miss my kids being little babies! Such a sweet story. I didn’t know that a doc/midwife can break a patient’s water once full term. I wish I would have had this option with my 4th instead of an induction at 11 days past my due date. I love reading other’s birth stories because I always learn something new . 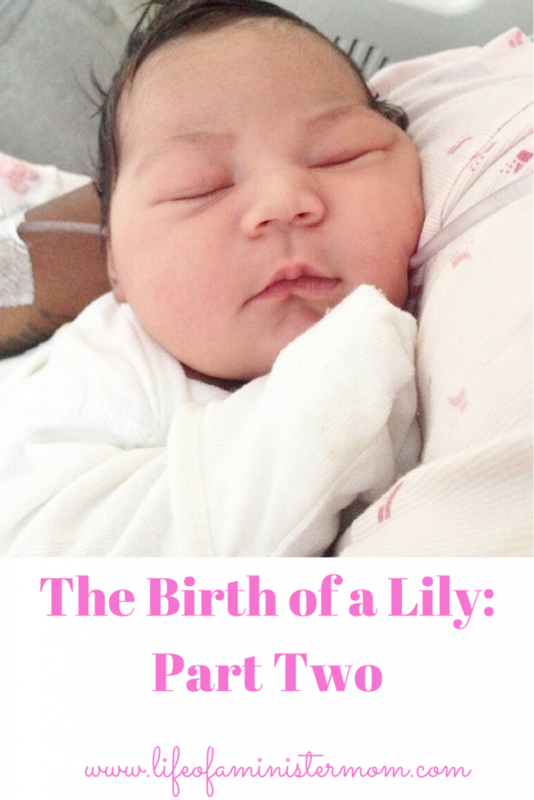 I love your birth story of Lilly! Truth be told I’m not sure if it’s exactly allowed. My doctor was a bit of a rebel haha. 😉 Thanks for reading! So loved reading this! There’s nothing like the day you go into labor or are induced! She is so beautiful! Congratulations! Labor is certainly the experience of a lifetime and I loved your story. Thank you very much Rachel!! That sounds like a surprise! I was definitely shocked!! Thanks for reading! 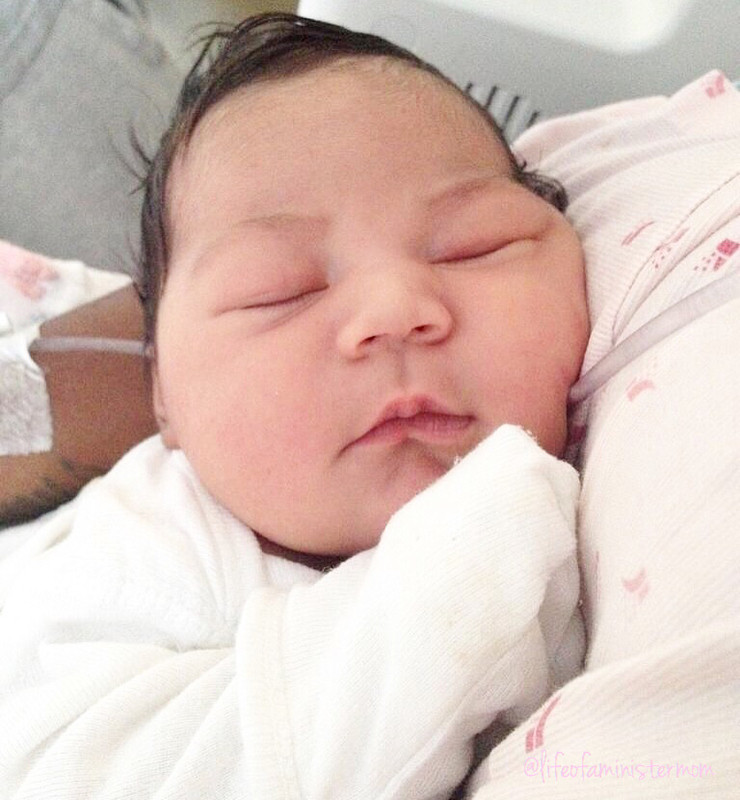 What a beautiful baby girl and family! My son came out 7 and some odd pounds but quickly got all “rotund.” Chubby babies are the best! Hahaha!! I miss the chubbiness! Thanks so much!! Thank you Brittany!! I’m so grateful for these two and can’t believe how much they’ve grown!! Aw, this was beautiful and brought tears to my eyes. What beautiful children you have! So sweet! I started bawling at the part where your husband was reading you scriptures I attempted to do the same thing during my births and my husband and mom tried but I wasn’t having it What a sweet tribute for your babe to read one day! Awwww! Thanks Amanda!! I can’t believe she’s 3 now!! I do hope she will cherish this one day! She is so precious! Congrats mama! Thank you Jessica. I still can’t believe she’s three!! Such a beautiful story! I love that you have documented it forever! Thank you so much Lauren! It’s a day I never want to fade in my memory!! SO pretty!!!! ANd i love reading these stories confrats so amazing!! Thank you Laci! I always get teary-eyed when I think back to this special moment. What a beautiful birth story. 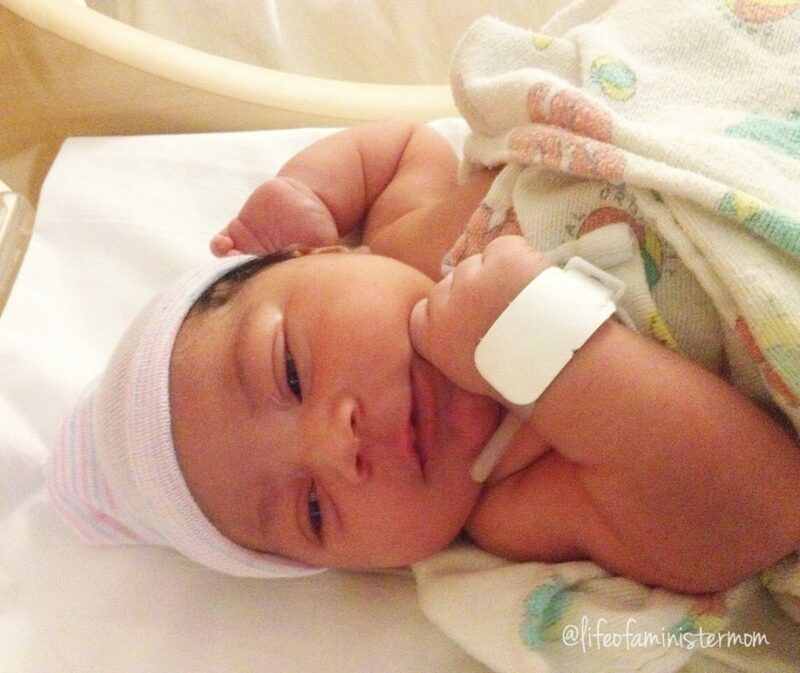 9 lbs…Whoa Momma you delivered healthy perfection! Thank you Michele. We’re so blessed to have had these 3 years with our girl!! I love reading birth stories! How is she 3!?! Such an adorable baby! Congratulations on your baby girl! Thanks Sharon. I can’t believe this baby is 3 now!!! Every birth story is truly amazing and yours is no different! She is so pretty! Thank you Hanna! She was beautiful then and is beautiful now!! I have tears in my eyes right now, wanting to full on CRY! But I’m also trying to do a radio show … ha! And like Amanda wrote a few comments above, the tears wanted to FALL at the part of your hubby reading scriptures to you. 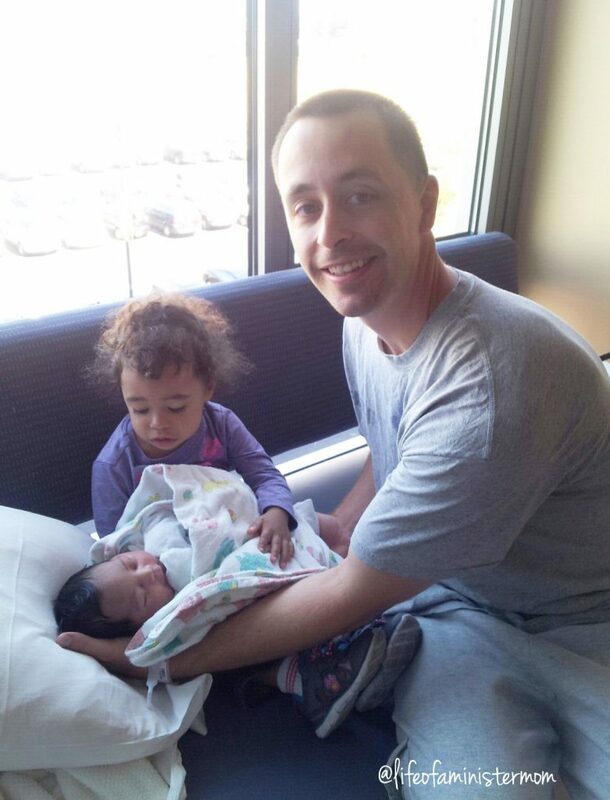 I had a c-section with my 1st and wanted nothing but a VBAC for my 2nd. 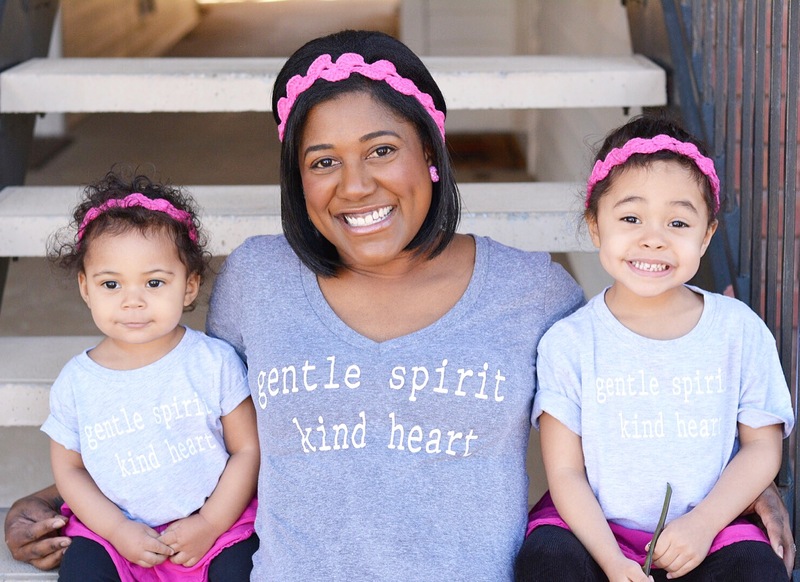 It kind of became an idol during my 2nd pregnancy, and shortly before my daughter’s birth, I felt like God did some chain-breaking in my heart and soul. I needed to read your story and I’m so glad you did. I want so bad to have baby #3 and my fear is that it would end in a dreaded c-section. But your story gave me peace that, no matter what, the Lord “delivers” us, whether it’s in the LDR or the OR. He’s THERE! Love you! And thank you for sharing this! I am right there with you friend!!!! You are not alone! This whole process was a huge exercise in true and sincere trust in the Lord. Not that I see the precious blessing she is at 3 I remind myself that the how doesn’t matter so much. I’m just glad she’s here. Look at all of that hair! That is such a tough decision to make, but I[m glad your husband was able to be through it all with you! Me too Aly!! I’m so grateful!!!! Awe I don’t think it ever goes according to our plan does it?! This is beautiful and she is beautiful!!!!! Thank you so much Tabitha!! !